Entries must be in by 11:59:59pm PST September 24, but I won't be posting the poll until around sometime September 25. 5. Your submission must be made for this contest (no reusing your old, saggy customs). Last edited by Dr.Goomonkey; September 24th, 2017 at 08:49 PM. Looking cool - may I ask what the mini's name is? 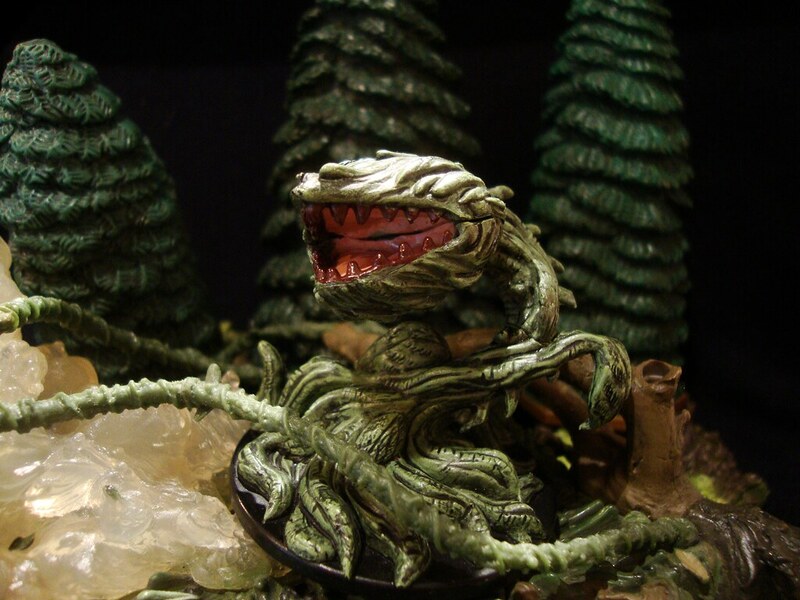 Whoops, it's the Greenvise Vine from DnD's Savage Encounters. I saw this mini the other day. 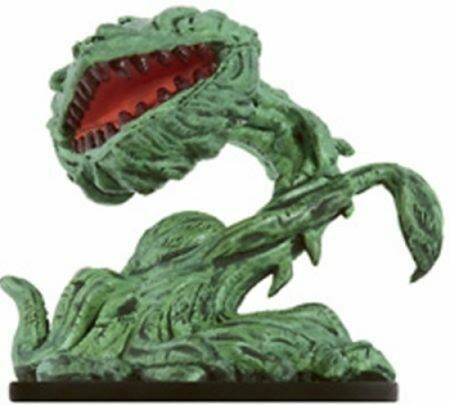 I was going to recommend it to the Heroes of Fiction group to make Audrey II from Little Shop of Horrors. I'll probably enter. Need to think on it first though. Great to see so much enthusiasm for this one! There are already two entries, in fact. I don't recall ever seeing these competitions before, but I love the idea! This sculpt was also pretty inspiring and unique, making it pretty easy to come up with some ideas for it. If only I had some HeroScape with me right now so I could playtest it! Sir, I think I have the solution to your problem. Ooh, that's a fantastic idea! Kinda makes keeping the entry anonymous tricky... But I don't think that's the strictest rule here. I'd be down to help people out with playtesting their entries, but of course you can play them with other people. I guess I should specify that I'm in college and intentionally tried leaving HeroScape behind so that it wouldn't distract me. I'll just have to try to squeeze some playtesting in when I have the time and update my entry afterwards!